The community of the Shambhala Meditation Center of Los Angeles is diverse, capable, and heartfelt. Our members and friends include dedicated senior teachers who have walked the Shambhala Buddhist path for 40 years or more, and enthusiastic newcomers who are just discovering our teachings on realizing basic goodness and building enlightened society. Like the rest of the global Shambhala community, the organization of activities and responsibilities within the SMCLA is divided into three “pillars.” Although some community members resonate primarily with one or another of these three aspects of our society, many of us participate actively in two or even all three. The most central of the three aspects is the area of practice and study, which provides training in our various styles of meditation and the Shambhala/Buddhist teachings. These activities are described at length elsewhere on this website. To encourage a calm environment suitable for meditation practice and contemplative teachings, our programs take place within an environment that is looked after by the second aspect of our Shambhala society, the protection function. Our protectors are the friendly and helpful members of the Dorje Kasung, who are usually the first people you meet when you walk into our Eagle Rock or Westside locations. The environment is always open for people to enter or leave as needed, but the Kasung help ensure that things don’t get too chaotic. Our center would not operate at all without the work of the third “pillar”, the governance group, led by the center Co-Directors and the Governing Council. 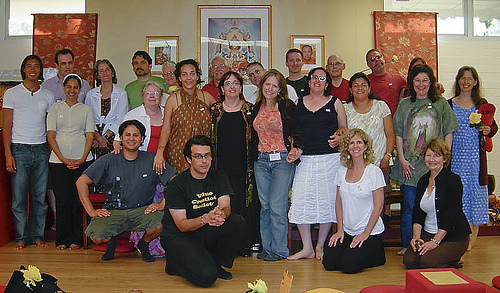 Members of the Council include the heads of our Practice, Education, and Finance functions, as well as the coordinators of our Westside location, the leader of our local Dorje Kasung squad, and representatives from the areas of Contemplative Arts, Culture and Decorum, and Societal Health and Well-Being.